The “anti-vax” movement, also known as vaccine hesitancy, has captivated, frustrated, and more often than not confused the general populace for a while now – and this isn’t new. Vaccine hesitancy is just as old as the concept of vaccines itself. From the mid 18th to 19th centuries, various groups in North America, the United Kingdom, and other parts of the world have risen up against the practice. Now, in the age of instant communication, these groups have a bigger and louder platform than ever before. As most readers know, the scientific community is overwhelmingly at odds with vaccine hesitancy – particularly with the faction that suggests there is a link between vaccines and mental disorders like autism. Nevertheless, the movement persists. Of course, it’s easy to write off people who are defiantly against modern medicine as simple lunatics. After all, study after study has thoroughly undercut all claims of a link between vaccination and any ailments at all. However, two things can be true at once: this movement can be simply wrong, but also severely misunderstood. There is a lot to learn about this movement which, despite its controversies, manages to remain influential in the modern age. What’s Worse – Death, or Autism? As we mentioned, there is a sizable chunk of the anti-vax community that believes that vaccinating their child can lead them to develop autism. Now, autism spectrum disorder varies wildly. Roughly 17 percent of young adults with autism are able to live independently. Typically, the disorder isn’t a death sentence, although many anti-vaxxers seem to believe it’s actually worse. Our study shows that most anti-vaxxers would rather their children live with autism rather than die – but a sizable chunk disagrees. Over 27 percent of respondents with indicating they would rather see their kids die than have autism – that’s almost a third of that sample. Who Do Anti-Vaxxers Vote For? President Donald Trump was the clear choice for anti-vaxxers in the 2016 presidential election. Our data shows that 40 percent of respondents pulled the lever for the Trump that year, with Democrat Hillary Clinton pulling in far behind at 28 percent. Vaccines weren’t a campaign issue for any notable candidate that year, but the president was talking about them long before “build the wall” was a popular slogan. Twitter archives show that the billionaire businessman was raising the issue on the social media platform as early as 2012. His positions on the issue seem to fluctuate, but the fact is that he was willing to give the vaccine hesitancy argument the time of day. Anti-vaxxers by and large seem to follow their own advice, which may be due to individuals adopting vaccine leniency later in life. Our data breaks down the number of vaccinated anti-vaxxers by state. Idaho, Montana, and South Dakota stand out as the states with the highest among of vaccinated anti-vaxxers living in the United States. The flu, a vaccine-preventable disease, is the ninth leading cause of death in Idaho. Obviously, one would expect individuals who are convinced that vaccines are harmful to either delay or avoid having their children vaccinated. As we saw above, however, the number of vaccinated children of anti-vaxxers is not zero. Again, Idaho and Montana stand out with having the highest number of children of anti-vaxxers. A 2016 study published by Health Affairs shows that vaccine-preventable diseases places a staggering $9 billion economic burden in America. Anti-vaxxers clearly distrust the scientific community, but that isn’t the only institution they direct their ire towards. Our study shows that a solid majority of anti-vaxxers do not trust the government, with almost a third reporting that they read conspiracy-themed news sites like InfoWars. Anti-vaxxers seem to be attracted to alternative viewpoints and lifestyles as a whole, with more than half of respondents indicating a belief in astrology and almost as much believing that crystals have healing properties. Interest in “alternative medicine” has risen sharply in the 2010s, which helped make crystal healing a billion-dollar industry. Over half of responders reported being between the ages of 25 and 34-years old, suggesting that the vaccine hesitancy is most common in millennials. Just under two percent reported being 65 or older. Millennials are clearly the largest pushers of the anti-vax movement. Vox reported in 2015 that as many as 1 in 5 of them believe vaccines cause autism. As our study shows, people are drawn towards vaccine hesitancy for a variety of reasons. It’s hard to pinpoint a singular reason for it all, but there’s little doubt that anxiety is a big factor. Anti-vaxxers are anxious about their health, and ultimately anxious about what authorities are telling them. The good news is that reducing anxiety in our lives isn’t always complicated, especially at home. For example, the scent of a freshly cut lawn can reduce stress according to one study. 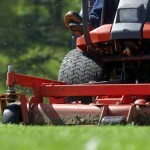 LawnStarter can take care of that with their qualified lawn care pros. All participants were screened using a two-pronged approach: (1) description of selection criteria with a requirement for self-acknowledgement and acceptance, and (2) directly asking each participant to confirm each criterion, namely “Anti-vaccine” The term “Anti-vaccine” was defined as “opposed to the use of vaccines.” A total of 2,835 attempts were made to take the online study, with 1,751 eliminated for: (1) not being anti-vaccine, (2) failing capcha, (3) not completing the survey, or (4) a mixture of these. Additionally, 36 response sets were eliminated for having duplicate IP addresses, for a total of 1,787 eliminations, yielding a final completion rate of 36.97%, and a final n = 1,048. This study employed an online survey using a convenience sampling methodology via Amazon’s Mechanical Turk, with a subsequent posteriori exploratory, correlational data analysis methodology employed after completion of data scrubbing via Microsoft Excel and data visualization via Tableau. Have any question, comments or concerns? Would you like to pick this study up for an article? Send us a note and we'd be happy to help!